Casinos have always been on the target list of the authorities as they often attract criminals who are looking to carry out devious strategies to commit crime. Casino legislation in the United States is extensive to ensure that there are no loopholes that criminals can take advantage off. U.S authorities constantly monitor casino activities to ensure that the casinos are fully complying with the gambling legislation and no laws are being broken. The Michigan Gaming Control Board (MGCB) has been keeping a close eye on the Greektown Casino as the casino has been part of an on-going investigation. The investigation specifically looked at Greektown casino’s operations between 2010 and 2014 and revealed that the casino had violated a number of gambling laws ranging from customer disputes, liquor violations, supplier licensing, real estate transactions and other minor infractions. The investigation concluded that the majority of these violations were deliberate and as a result the MGCB decided to impose a number of hefty fines on the casino to set an example that deliberate violations to casino legislation had serious consequences. 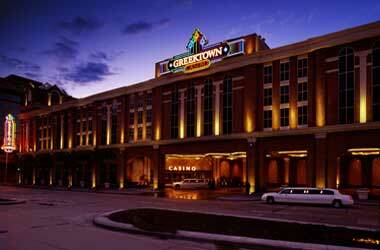 The total amount of all fines that the Greektown Casino has to pay is around $529,500. Dan Gilbert, the owner of Quicken Loans and the Cleveland Cavaliers was in charge of the Greektown casino between 2010 and 2014. The new management has extended full co-operation to state authorities and have committed to fixing all of the loopholes and ensuring that the casino is fully compliant with Michigan State gaming law. Greektown Casino’s current management has stepped up and handled violations that occurred before its tenure. Under its previous management, Greektown Casino failed to fulfill several licensing, promotional, gaming law and board order requirements. The current casino management team has improved business practices and taken measures to ensure compliance in all aspects of operations. The new casino management did not contest the charges filed by the MGCB and due to their co-operation the authorities decided to drop five other casinos of non-compliance which occurred during the tenure of the old management. MGCB also confirmed that the new management has taken steps to improve its business practices and ensure that its operations comply fully with state gaming law. Greektown Casino will be closely monitored during the next five years and if there are no more violations, close to $40,000 in fines could be waived by the MGCB.